Are you sure you want to remove Report on the Hydroida dredged by H.M.S. Challenger during the years 1873-76 from your list? 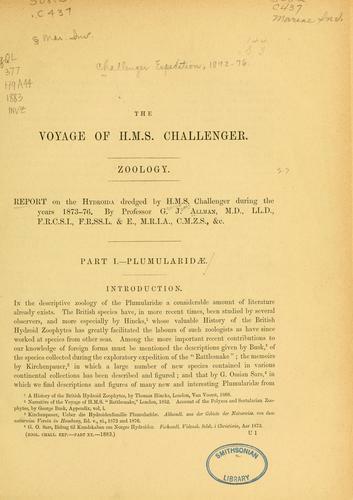 Report on the Hydroida dredged by H.M.S. Challenger during the years 1873-76.